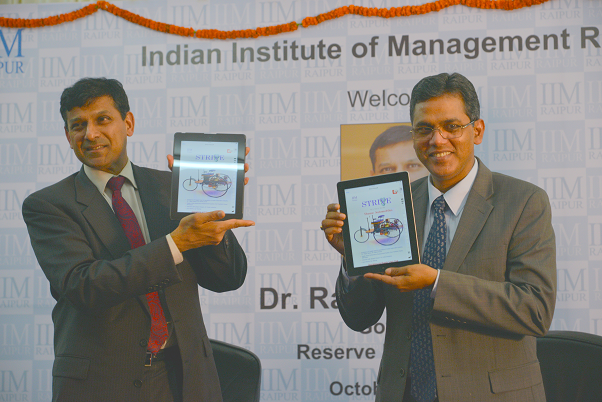 The fifth edition of Strive, the biannual publication from OPEP (the Operations and Supply Chain Club of IIM Raipur), was launched on the 4th of October, 2013, by Prof. B S Sahay, Director, IIM Raipur together with Dr. Raghuram Rajan, Governor of the Reserve Bank of India. This time around the central theme of the magazine is ‘Automobiles’. The main features of this publication include articles on Supply Chain Performance Measurement by Prof. Parikshit Charan (Prof. IIM Raipur), Emergence of Supply Chain in Indian automotive industry by Dr. Tapan Sahoo (VP, Maruti Suzuki) and also an interview with Mr. Sanjeev Khapre (EVP, Exide Industries India Ltd.) The edition also features articles on the scenario of Hybrid Cars in the Indian context and reverse logistics in the Indian automotive industry. 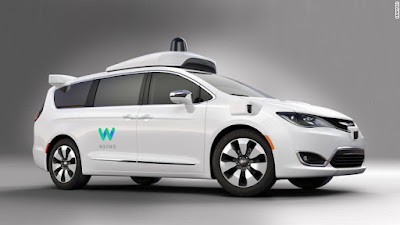 The publication presents articles written by students about some of the contemporary issues and trends in the automobile sector – ‘Green Revolution Part – III’ discusses the present trends in electric car industry in India and provides insights on the growth potential for these cars in the future. ‘Evolution of Supply Chain in Automotive Industry’ talks about the various stages of development in the concepts, philosophies and practices in the field of Supply Chain Management across the world in the automobile sector. The ‘Regular’ section in the magazine covers Summer Internship experiences of students, Guru Mantra - which explains the concept of Car Sharing, Debate on Two Wheelers against Four Wheelers in India, Book Review – Lee Iacocca and a Crossword puzzle. The magazine will now be available for students of all B-schools across India and abroad and also for industry-relevant professionals. Post by OPEP Club, IIM Raipur. Thnks for sharing this post its very helpfull for me.